Proppant Today will be at the 4th Annual Frac Sand Supply & Logistics Conference on September 24 and 25th in San Antonio. The event, sponsored by Petroleum Connection, features guests and speakers from each part of the frac sand supply chain and from the demand side in the oilfield services sector as well. The conference has a strong interest in representing innovation in the frac sand supply chain. Frac sand producers and logistics providers are teaming up to share insights on moving frac sand by rail, truck, barge and even by pipeline. GE and Statoil will be sharing the results of their Grand Challenge focused on addressing the use of sand in unconventional operations. The conference features speakers like Jen Casebier of Downhole Trader who will be providing Update on Frac Sand Industry Trends, and Dr. Bernard “Bud” Weinstein, Maguire Energy Institute and Cox School of Business at Southern Methodist University, who will speak on the Sheiks vs. Shale: New Economics of Energy & Implications for the Frac Sand Industry. There are additional talks and roundtables on transportation, technology usage, exporting, international supply and demand, importing proppants, health & safety issues, regulatory updates, procurement trends and more. If you are involved in building a more efficient supply chain for frac sand, please join us. 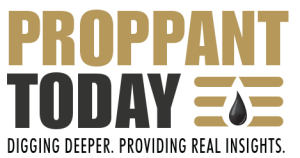 Proppant Today, LLC serves the proppant market by providing deep insights into proppant and frac sand use and demand in the unconventional oil and gas industry. At Proppant Today’s website, read our blog and daily news feed and purchase the US Proppant Market and Forecast Report: 2015 to 2020. A drilling rig worker. Focus is on the instruments. Efficiencies in horizontal well completions have accelerated over the past six months driven by the need for E&P companies to preserve return on capital in a low price oil environment. Some exploration and production (E&P) companies are showing significant efficiency and productivity gains. Expectations are that more will be achieved during 2015. E&P Efficiencies Improving well productivity is a key focus for EOG Resources. EOG reports that well costs and well productivity both are exceeding targets for 2015. The company says that the economics of their business are better at $65 oil today than at $95 oil in 2012. Chesapeake Energy, in a June 23 investor presentation, shows a decrease in average drilling days down to 12 in Q1 2015 from 17 in 2014 and 25 in 2013. Chesapeake Energy reports an average cost of $205 per drilled foot, down almost 7% from $220 in 2014. EIA Drilling & Productivity Trends This trend is also being reflected in government assumptions regarding productivity and output. The June 2015 EIA Drilling Productivity Report for the Eagle Ford estimates the increase in new (first full month) production per rig for the first half of 2015 to be 17% and 14% for oil and gas respectively. For both oil and gas, the total percent productivity increase for first half 2015 is the same as the full year 2014 increase in productivity. In other words we are producing more, with fewer resources. Other oilfield plays are showing the same trend. This is in part due to greater efficiencies achieved by the E&P companies, and also likely due to the shuttering of equipment that lacks the capacity to drill and frack longer laterals and conduct enhanced completion techniques. The overall impact is the strengthening of the US position in shale oil and gas. 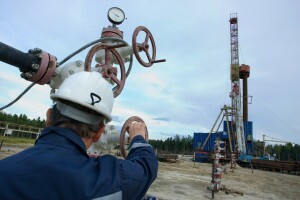 US Leads the Way In a recent report by Harvard Business School and The Boston Consulting Group, authors Michael E. Porter, David S. Gee, and Gregory J. Pope put forth that the US has a 10 to 15 year lead in commercializing hydraulic fracturing technology and that the industry’s efficiency efforts driven by the oil price decline may extend that advantage. The report further estimates that “unconventional energy development contributes more than $430 billion to annual U.S. GDP and supports more than 2.7 million American jobs” and the US should make a more coordinated effort to take advantage of this energy opportunity. Outlook for Proppant Demand The long term expectations for global and US energy demand are strong and proppant will be a necessary component to meeting those needs through fracking in US shale plays. Proppant Today sees a 40% increase in the market for proppant 2014 to 2020. 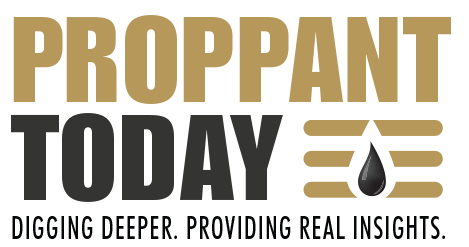 Proppant Today, LLC serves the proppant market by providing deep insights into proppant and frac sand use and demand in the unconventional oil and gas industry. We provide a daily news update at www.proppanttoday.com. We blog on frac sand, manufactured and coated proppant and its role in the supply chain of the unconventional oil and gas industry. Proppant Today will release the US Proppant Market and Forecast Report: 2015 to 2020 in July 2015. Earlier this month in Chippewa County, Wisconsin there was a dispute over a drone UAV (an unmanned aerial vehicle), that was used by a community group to fly over a silica sand mine. An individual launched the UAV over the Chippewa Sands Mine to document changes at the site and to a post video at a community action group website. According to the story published online by WQOW found here the town clerk originated the request for the flyover. The drone lost power mid-flight and landed on the mine’s property. Upon attempting its retrieval, the company contacted the Sherriff’s department, and refused to return the drone for over a week. The company’s attorney, Brian Nodolf, considers the UAV to have conducted “illegal surveillance” of the mine. The sheriff indicated that trespassing citations will be issued. This is the first article we have seen about the public using a UAV to conduct surveillance of a mine site. Currently hobbyists are allowed to fly UAVs in ways that private industry cannot…yet. The FAA has allowed three private companies (including BNSF) to fly “data gathering missions”, with changing regulations pending to increase the use of UAVs in private industry. How are your company, your mine, and your employees adjusting and preparing for UAVs to be used by community groups today? And just as importantly, how are you aligning your internal resources to make UAVs part of your toolkit when the regulations change? UAVs have the clear potential to serve as a major operational advantage for natural resource companies, including stockpile checks, environmental inspections and viewing real-time mining activities. GE and Statoil have partnered to host an open innovation exchange on frac sand logistics and use in the unconventional plays. Costs and logistics of frac sand acquisition can be 10% of the overall cost of the well. This percentage is likely to be much higher in other countries that lack the rail and transport infrastructure to move frac sand (also called proppant) from the mine to the wellhead. The goal of the collaboration is to crowdsource business solutions to reduce frac sand consumption and transport in the unconventional plays. GE and Statoil will announce winners of the open innovation in June 2015.